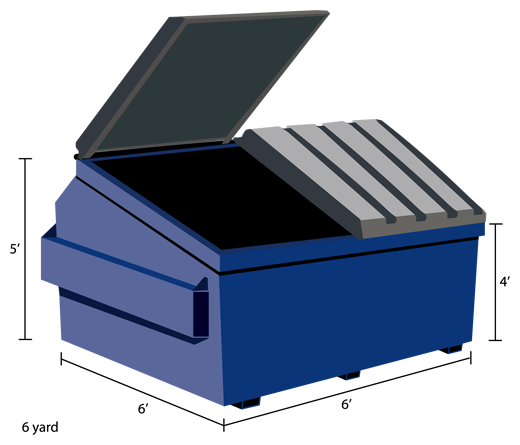 Schedule your dumpster rental services in Rayle, GA Today! Welcome to Dumpsters of America, the premier waste collection and dumpster rental service provider in Rayle, GA since 2009. 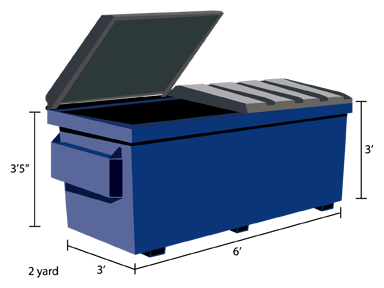 We pride ourselves in providing quality dumpster rental service to the residence of Rayle, GA at an affordable price. We appreciate the opportunity to be of service and trust that you will be pleased with the quality of services you will receive. Our goal is to provide affordable, reliable and convenient dumpster rental services in Rayle, GA. Our services in Rayle, GA are available for homeowners, business owners and contractors on a temporary or permanent basis. 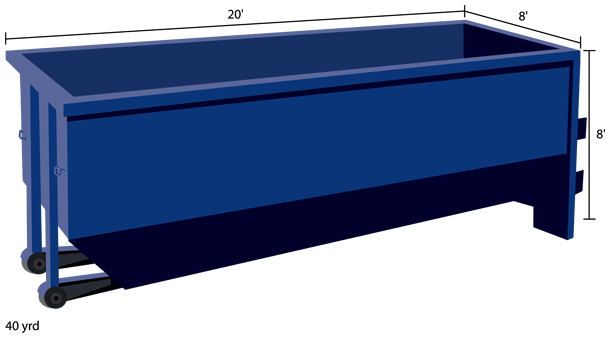 General waste is commonly known as trash or garbage. It consists of everyday household items we consume and discard. Examples of general waste are newspapers, clothing, food scrapes, boxes, disposable tableware, office and classroom materials, furniture, wood pallets and cafeteria wastes. We delivery roll off dumpsters in Rayle, GA 5 days per week Monday – Friday. Delivery hours are between 7 AM and 4 PM. Please note that we typically need one business day notice to make a delivery. Same day services may be available. If you seek a same day dumpster delivery please contact Customer Service at 800-877-4285. Please do not load dumpsters above the rim to ensure the safety of our drivers and the other vehicles on the road. General waste temporary services in Rayle, GA are available on a per haul basis. Please enter your zip code above for dumpster dimensions, capacity, pricing and availability. General waste permanent services in Rayle, GA are billed on a monthly basis. Please enter your zip code above for dumpster dimensions, capacity and more detailed information. Please note that we do not rent commercial dumpsters on a temporary basis. There may be options available to you If you are looking to dispose of small quantities of debris (less than 10 cubic yards) and are looking for a temporary dumpster. Please contact customer service for details. Construction and demolition debris (C&D) includes materials from the construction or destruction of any physical structure including homes and buildings. Examples of C&D debris include brick, concrete and other masonry materials, stone, glass, wall coverings, plaster, drywall, framing and finishing lumber, roofing materials, plumbing fixtures, heating equipment, electrical wiring and components containing no hazardous fluids or refrigerants, insulation, wall-to-wall carpeting, asphaltic substances, metals incidental to any of the above, and weathered railroad ties and utility poles. Construction & Demolition temporary dumpster rental services in Rayle, GA are available on a per haul basis. Please enter your zip code above for dumpster dimensions, capacity, pricing and availability. Please note that we also rent dumpsters for concrete, metal, asphalt and dirt in addition to regular construction debris. We recommend separating such debris from your ordinary waste stream to reduce costs and maximize recycling. 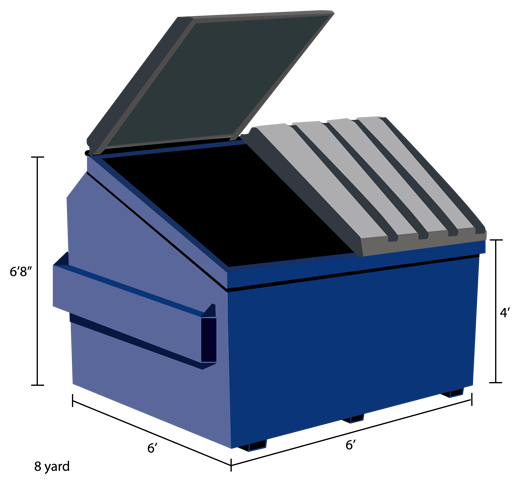 Rebates are available in Rayle, GA for metal dumpsters. Dumpster rentals in Rayle, GA for such heavy items like concrete, dirt and asphalt may be limited to a 10 cubic yard dumpster. This limit is imposed due to the heavy nature of such debris and safety regulations imposed by local and state ordinances and statutes. Please note that given the nature of the trucking industry, it is difficult to guarantee an exact delivery time for your rented dumpster. Realizing that contractors start early in the morning, we make every effort to deliver all dumpsters as early in the day as possible. However, it is recommended to schedule your dumpster delivery in Rayle, GA one day prior to the commencement of your project. Please note that we cannot haul any asbestos as it is not dispoable in local transfer stations and landfills near (Rayle, GA. Please contact a hazardous waste removal service if you require disposal of asbestos. Recyclables include materials that can be salvaged and reused to make other products. Examples of recyclables include papers, plastics, aluminum, card board and glass. Recycing services in Rayle, GA are billed on a monthly basis. Please enter your zip code above for dumpster dimensions, capacity and more detailed information. Please note that the city of Rayle, GA may not allow dumpsters to be placed on public roads without a permit. 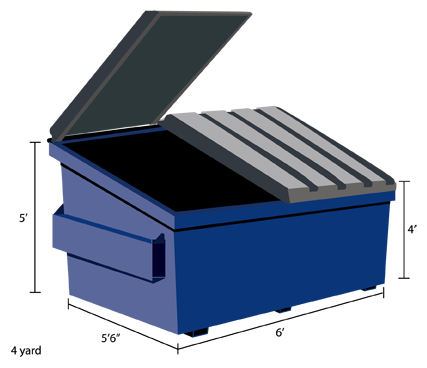 We recommend placing your rented dumpster on private property to avoid potential problems. If that is not an option we highly recommend you contact the Public Works Department for Rayle, GA to inquire about permit requirements. Please note dumspters placed in public roads without a permit may be required to be removed without notice by the city of Rayle, GA.
Our goal is to streamline and simplify the dumpster ordering process saving you time and money. We have achieved this goal by combining the ease and convenience of the internet to the waste collection industry. We accept all major credit cards enabling you to complete 100% of your order online. 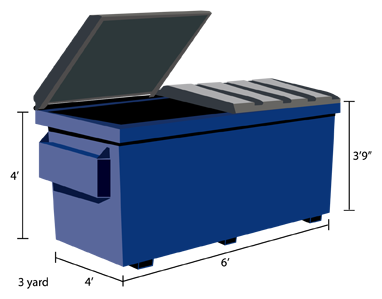 Simply enter your zip code, select the appropriate dumpster for your needs and checkout through our secure site. 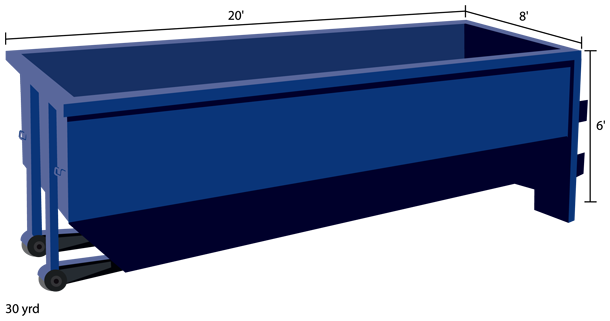 Your dumpster will arrive on the date and location of your choosing. Thank you for your interest in DumpstersofAmerica.com. Order your dumpster in Rayle, GA today!